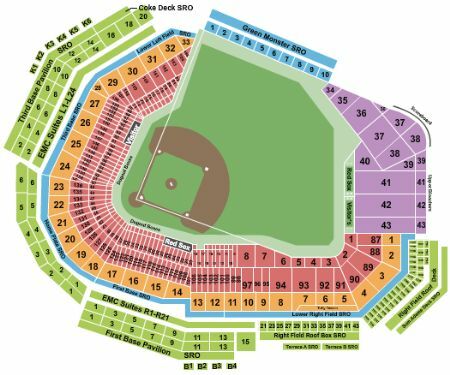 Boston Red Sox vs. New York Yankees Tickets - 7/25/2019 - Fenway Park in Boston at Stub.com! ADA accessible wheelchair accessible seating. One member of your party must be disabled to use these tickets. Chairs are provided for non-wheelchair customers. Tickets will be ready for delivery by Jul 22, 2019. MobileQR Entry. Scan your tickets from your mobile phone for this event. Do not print these tickets. Tickets will be ready for delivery by Jul 21, 2019. ADA accessible these tickets allow for wheelchair access. Tickets will be ready for delivery by Jul 24, 2019. ADA accessible these tickets allow for wheelchair access. Tickets will be ready for delivery by Jul 23, 2019. The view from these seats may be impacted by walkway traffic. Tickets will be ready for delivery by Jul 23, 2019. The view from these seats may be impacted by walkway traffic. Tickets will be ready for delivery by Jul 18, 2019.